Sanmina provides state-of-the-art, end-to-end product design, test and customized manufacturing solutions for complex Optical and RF/Microwave products worldwide. We’re specialists in creating custom high-performance, manufacturable, cost-optimized optical and RF/Microwave products. We can also complement a customer’s design team with our unique skills and services. Both solutions will accelerate a customer’s market penetration — all the while respecting the customer’s intellectual property (IP). The right design and engineering team is critical to a customer’s success. Sanmina offers extensive expertise in Optical modeling and design at the component and module level for telecom, datacom, industrial and medical applications. 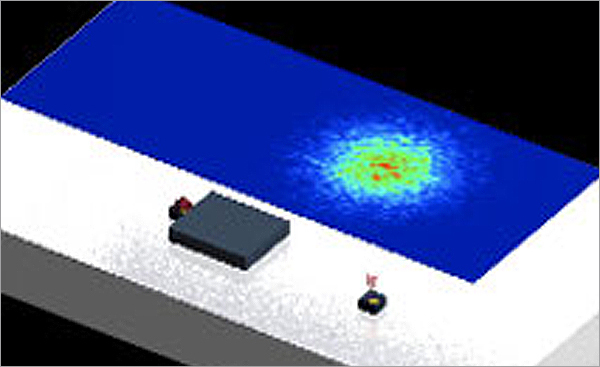 Optical modeling includes 3D coherent and incoherent systems, free space, guided mode (SM and MM), optical loss, crosstalk, stray light analysis as well as optical system modeling. Our Optical design teams utilize advanced simulation techniques and state-of-art design and modeling tools, such as Zemax, FRED, FIMMPROP (WAVE) and custom-developed software, for applications up to 100Gb/s. Complementing our optical design expertise, Sanmina offers extensive expertise in RF/Microwave modeling and design developed over many years of product designs for optical high-speed transmission, radar, microwave radio and wireless, in broadband and narrowband applications up to 100Gb/s. RF and EM modeling include complex transmission lines, 3D modeling of interconnection transitions, power supply and decoupling network modeling, EMI/EMC analysis, cavity resonance modeling, digital broadband and analog signal integrity modeling. Our RF design teams utilize advanced simulation techniques (3D/2D Finite-element Field Analysis, Method of Moments, Finite Difference Time Domain, Modified Nodal Analysis) and state-of-art design and modeling tools such as HFSS, ADS, Momentum, Empire FDTD, SPICE and Ansoft Designer. To facilitate rapid design cycles, Sanmina developed a library of proven models for key RF transitions and components: transmission lines in a wide range of substrate technologies, component interconnection (wire bonding, flip-chip, fuzz button, RF connector transitions, BGA/LGA and SMT connections), multilayer transitions (multilayer RF via, sloped and stepped transitions, side castellation), models of component (microwave RLC components, wide range of RF connectors, filters, combiners, etc. ), hermetic cavity RF feed through and cavity resonance models. Latest modeling and design tools, coupled with expertise in leading-edge optical and RF/ Microwave technologies and manufacturing processes, allow our designers to make appropriate tradeoffs when working to meet the design and performance requirements of a customer’s product. With design centers co-located with our strategically deployed manufacturing sites, Sanmina is well-positioned to meet a customer’s most demanding Optical and RF/Microwave requirement with a high degree of efficiency and flexibility.